Mt. Helium was an Armenian-American rock power trio from Los Angeles, California, formerly known as The Apex Theory. The band has released three studio albums and three extended plays to date. The Apex Theory was formed in 1999 by Armenian-American Los Angeles musicians Ontronik Khachaturian, Art Karamian and David Hakopyan, following Khachaturian's injury and subsequent departure from System Of A Down. Sammy J. Watson joined the band after they were unable to find a committed drummer. The band released its first extended play, Extendemo, in 2000. 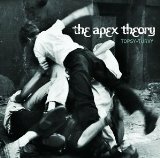 The following year, they signed with DreamWorks Records, releasing their second EP, The Apex Theory on October 9, 2001. The band performed at the main stage during the 2001 Warped Tour, and as co-headliners at the 2002 MTV2 tour.